Echipa AVmall incearca sa mentina acuratetea informatiilor din acesta prezentare. Cu toate acestea, in anumite cazuri, pot aparea mici inadvertente pentru a caror semnalare va suntem recunoscatori. Ne poti contacta oricand pentru a clarifica eventuale nelamuriri. Nu uita sa mentionezi in corespondenta ta numele exact al produsul. Fotografia produsului Videoproiector Optoma HD27E are caracter informativ si poate sa difere de produsul real sau sa contina accesorii neincluse in pachetul standard al produsului. Specificatiile tehnice pot contine erori de operare si pot fi schimbate fara instiintare prealabila de catre producator, neconstituind obligativitate contractuala. The best choice for medium-sized spaces. Lights on viewing, vibrant in all conditions. Adding more depth in both dark and bright scenes, the HD27e lets images come alive and text appear crisp and clear. 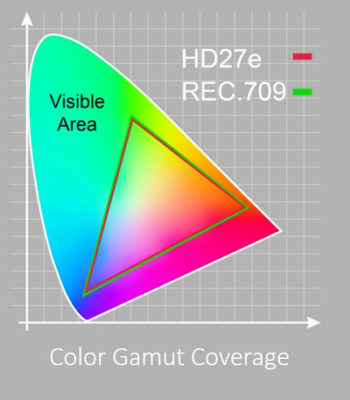 The HD27e achieves near REC.709 color gamut, the international HDTV standard to guarantee accurate reproduction of cinematic color exactly as the director intended. 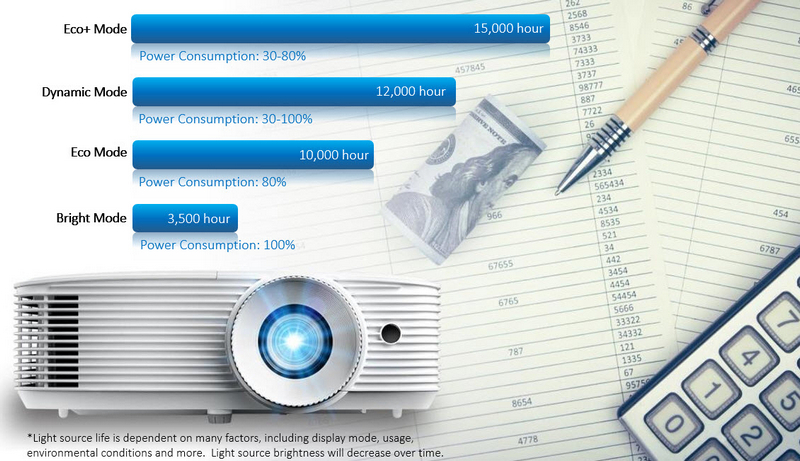 Reduce the number of lamp changes with lamp life of up to 15000 hours (ECO+ Mode). Only 25dB in ECO mode, quieter than a Whisper. 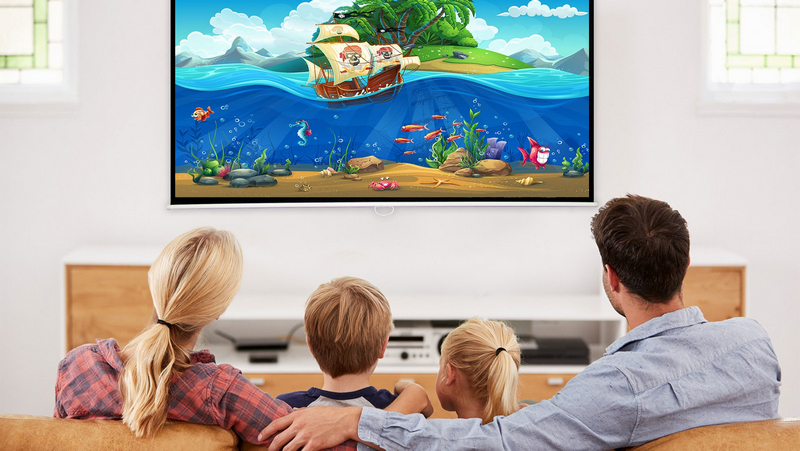 Reflected light from the projector instead of direct light, can minimize direct blue light exposure, protect your eyes and making your viewing experience more enjoyable. Adjust the vertical image angle to project a perfect square image. It is flexible for limited space configurations when the projector is placed at an off-angle. 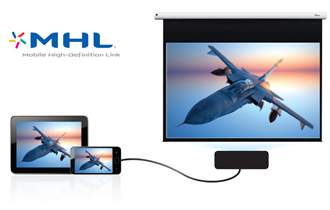 With dual HDMI and MHL support, connect your mobile device directly to the projector by using a single MHL cable. Allows your content to be heard clearly and is easy to set up without the need for costly external speakers. Power your streaming sticks, pocket PCs, and mobile devices right from the powered USB port (5V/1A). Nu sunt recenzii pentru Videoproiector Optoma HD27E. Fii primul care scrie una!